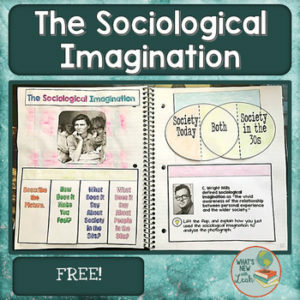 Use this hands-on activity to introduce the concept of The Sociological Imagination to your students. There are three foldable graphic organizers, an answer key, and an implementation page. This is part of my Sociological Perspectives Interactive Notebook Bundle(a complete unit). If you like this, be sure to check out my other sociology products.